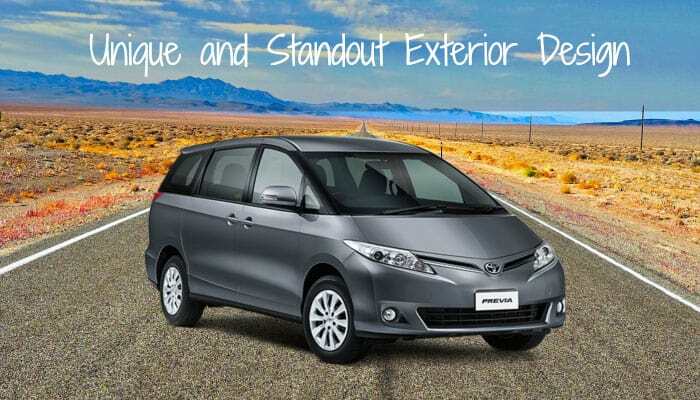 Get a clearer view of your motoring future with a reliable and amazing van, the Toyota Previa. Since its launch last 1990, the Previa has shown and developed a noteworthy and powerful reputation, with its many technological integrations and dazzling road performance. 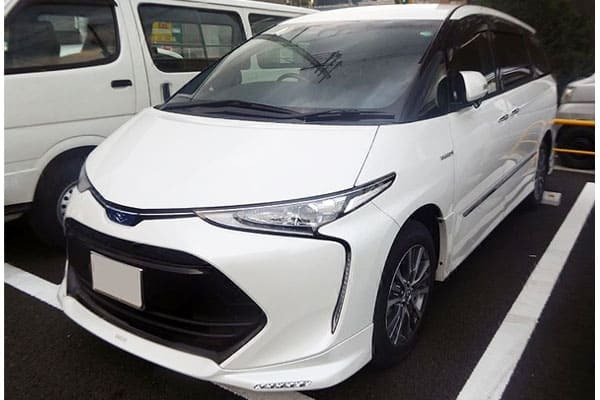 In what may be one of our most exciting reviews we’ve written for Toyota vehicle releases, what we believe makes the Previa such a sought-after article or topic to write is its contribution on helping out motorists with families. Although not strictly made to cater to families, the Toyota Previa does have what it takes to be the perfect van to deliver safe and memorable trips for families. And this is why we’d like to take the opportunity to write and tell more of our readers about why the Previa rocks. We do hope that more people will be able to drive and possibly own a model – it’s definitely a way to transform a preview of an exciting future to a reality of safe and fun drives. The Previa is powered by a 2.4 litre, 16-valve DOHC engine. Integrated with a Variable Valve Timing with Intelligence (VVT-I) system, this engine can produce enough power for exciting and safe drives. In terms of power output, the Previa’s engine has a recorded power output of a maximum of 168 hp (6,000 rpm); with an impressive maximum torque recording of 224 Nm (4000 rpm) as well. Additionally, the Previa’s automatic transmission system is complemented with a Super ECT (Electronic Controlled Transmission) feature, resulting to smoother gear shifts and faster acceleration boosts (100 kmph in just 11.5 seconds). Also, with a maximum mileage value of 10.8 kmpl, this is definitely a van with awesome power underneath its hood. Ever since the Previa’s safety issue encountered from the Insurance Institute for Highway Safety last 1996 (a “Poor” evaluation rating, mainly from unstable cabin structure, faulty lap best function, among others) Toyota has made safety an even higher and more important priority for Previa models. As such, and first implemented on the recent 2016 model, the Toyota Previa implemented a major overhaul on motoring safety. Integrating the Toyota Safety Sense C system (which was first seen in Japanese Toyota Estima models), this innovative safety system includes and maximizes several motoring safety features, such as anti-lock braking system (ABS) with Electronic Brakeforce Distribution feature integration, lane keep assist, SRS front airbags, radar cruise control, high beam assist, and pre-collision system with pedestrian detection function, among others. Yet, best of all, the renewed focus on safety resulted on Toyota creating even more powerful safety technologies that may very well set a new standard of car safety. 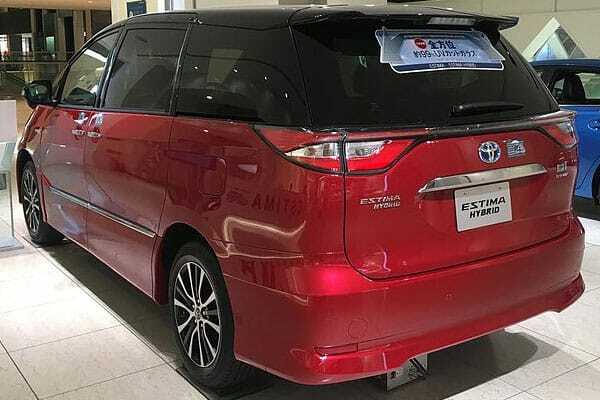 The Toyota Global Outstanding Assessment body, which is a tougher shell and vehicle frame, gives both motorists and passengers that each trip is safer. Additionally (and impressively), the Toyota Previa also comes with 360 degree 99% UV cut glass. This means that 99% of UV rays are prevented from entering the vehicle – resulting in not only a cooler in-vehicle climate or environment, but a safer vehicle to be in as well (with an a SPF 50+/PA++++ rating, the Toyota Previa is recommended highly by the Skin Cancer Foundation). The Previa is uniquely designed to standout among other vehicles on the road. And with its unique shape and appearance, the vehicle has also been affectionately named as “eggs,” “beans,” “eggvans,” and even “wombats” (dubbed by the Australian motoring market). And yet, even with these fun nicknames, the Toyota Previa still presents itself as a beautiful end elegant ride. With high-powered and bi-colored headlamps highlighting the van’s grille, the Previa can exude itself as an intimidating and beautiful vehicle to ride. Additionally, the van’s beautiful 16-17 inch alloy wheels create beautiful accents for motorists and even pedestrians to gaze upon. 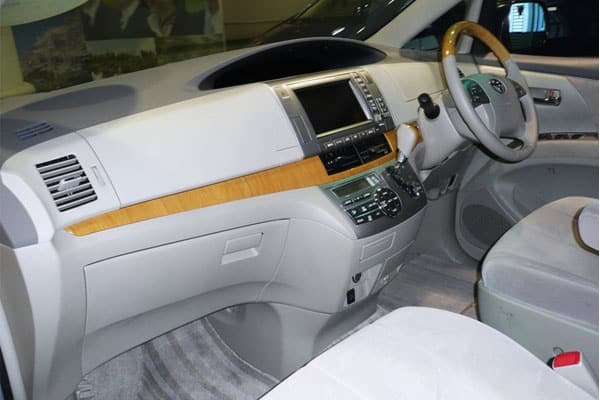 Best of all, and what we would want to highlight the most in this review, is the beautiful interior that the Toyota Previa has. Spacious interiors (7 adjustable seats) welcome everyone who steps in the Previa – an impressive experience itself in just feeling how comfortable and relaxing being in the vehicle can be! Comfortable and beautiful leather seats accentuate the overall drive experience. Also, several infotainment features allow anyone to have access to entertainment or plain-old connection to the internet (even while on the road) in the Previa. The van’s DVD-AVN system allows pleasurable rides; the Previa’s Rear Air Conditioning system assures passengers of cooler rides. The Toyota Previa may just be the perfect minivan. Its many features and motoring functions raises the bar in what a typical van has to offer. Also, its focus on safety assures drivers, passengers, and even pedestrians that this car is taking safety to a different and higher level. Lastly, the van’s unique yet appealing design proves to be a hit. As a driver with a family or a single person in search for a reliable van, the Toyota Previa has everything to cater to a wide array of motoring needs. Check out a minivan today and take it out a spin as well!